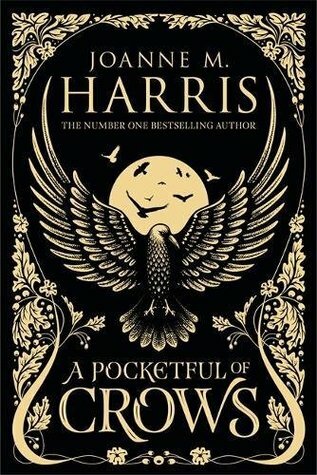 I am currently reading A Pocketful of Crows by Joanne M. Harris. The year it turns, and turns, and turns. Winter to summer, darkness to light, turning the world like wood on a lathe, shaping the months and the seasons. Quite poetic, yes? I love the writing, it drew me straight in to the story. I loved the questions I had at the end of the first chapter, and I desperately needed to read on to find out the Who and the What and the Why. It has been a week since I left, without a word from William. Of course, he does not know where I am, or how to find me in the woods. But I know he will, soon. This book though, it's excellent. I am fully immersed in the world and captivated by the characters. My ARC does not have the illustrations, but I have picked this up in Waterstones and had a flick through. The illustrations are beautiful, breath-taking. You can view and buy some of them here on the illustrator's website. Sounds intriguing. I have a science fiction book this week - The Collapsing Empire by John Scalzi. Happy reading! I love the cover, and those snippets! Very intriguing! I added you to the Linky. Happy weekend! Oooh! I'll have to keep an eye out for this one! I love that cover, wow! Books are always makes me so happy because i love to read them in my free time and for me your blog is very informative i got many useful information from here thankyou.